Freemake Video Downloader downloads YouTube videos and 10,000 other sites. Save videos, playlists, channels in HD, MP4, MP3, AVI, 3GP, FLV, etc. Absolutely free. Gives the best ever quality. Named #1 YouTube downloader for 9 years. Loved by 83 Million users. Freemake Video Downloader downloads YouTube videos free "as-is" in MP4, WebM, 3GP, Flash FLV formats. Download any YouTube videos and music as MP3 files. 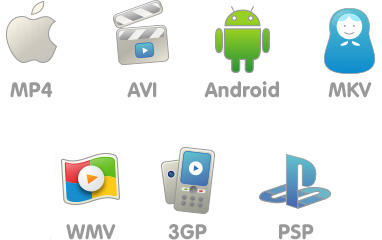 Rip web links to AVI, MKV, WMV, iPhone, PSP, Android, Amazon Kindle Fire, phones, etc. Save several web videos at once. Original quality is preserved. 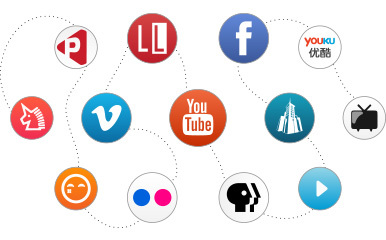 Capture online videos easily from YouTube, Facebook, Vimeo, Dailymotion, Twitch, LiveLeak, Veoh, local and adult sites. The list is consistently updated! Get clips, videos, films, TV shows, series, movies, how-to's, gameplays, cartoons, reviews, etc. from the Internet. Freemake YouTube Downloader supports 4K & HD quality video clips. Download YouTube content for free to watch offline: videos, playlists, channels, charts, embedded visuals. Download heavy 4K, Full HD, HD files fast & easily. YouTube Video Downloader will show you a file size before saving it. Save up to 500 YouTube clips all at once! To find and download online music, try our Free YouTube to MP3 Boom. Due to the multithread technology, Freemake rips YouTube clips at record speed. It takes just 4 min to download a two-hour Full HD video! Download YouTube files in original quality, without re-encoding. Get any playlists, channels, favorites to watch on desktop or mobile. Save YouTube online music and upload MP3s to your gadget. Download up to 500 files at once. Choose among 15 qualities, including 4K and Full HD. If your Internet connection is slow, limit the download speed. Downloader to 8MBps, 4MBps, 2MBps, 1MBps, 700 KBps. Unblock & save unavailable videos with a proxy. saved clips. Enable parental control for adult sites. Select Dropbox, Google Drive, OneDrive, etc. as the default destination for downloaded files. Video download software will transfer YouTube movies, clips and MP3s to the cloud. Freemake is used by 83 million people in 228 countries. Visit our Facebook fan page to see how popular Freemake is! Freemake was awarded as the best downloading software from start. See our hall of fame here. Freemake partners - Microsoft, Intel, Thawte ensure that Freemake is secure. Save online clips asap with Freemake. get a visual clip or playlist. other online freeware is down. Any issues are fixed within 24 hours. Now it’s your turn to try Freemake Youtube Downloader! or format for the file. I think you've made the best y tube ripper on the market. thanks! I recommend anything that Freemake puts out. I use most of their free software and I have never been disappointed. I've checked several Flash and MP4 downloaders before Freemake - Freemake beat them all with its simplicity to get most of the online clips to my mobile devices. I think I'm going to like this YouTube Downloader for PC. Great program! Easy to use. Thanks for the unblocked video downloads from Vevo! It's really the best, huge thanks to the Freemake software. It’s easy to use with perfect results. The fastest multimedia downloading app I've ever seen. Thanks! Great software for getting clips online, definitely going to recommend it to my friends. This has been very helpful for getting large audio and video clips. You guys ROCK! Thank you!!!! It is the best app to download youtube videos on the internet. I’ve just got Freemake, and it’s very easy to use compared to other freeware apps out there. What an excellent product for saving multiple YouTube video files at once! This is a user-friendly software, convenient YouTube downloader for mp3 and other file types. Love it :) Will surely recommend for xvideos download. This application is the best media program ever. It is pretty easy to use, has many features and no malware. My favorite YTD tool. Rips Full HD links fast & free! I use this program regularly and am quite happy with the performance and quality. Great for free downloading for CDs, etc.! CAN’T BELIEVE IT IS FREE!! Many thanks for the nice software, guys. Seems to copy most utube clips (among others). Easy to use when it comes to saving mp4 videos from different channels. I recommend this program to anyone. I have already got a couple of my friends using it. Easy to use. I seamlessly saved an online movie which worked really well. All I can say is that I didn't know a YTD software like this existed. I love this program and I'm so very glad I found it. 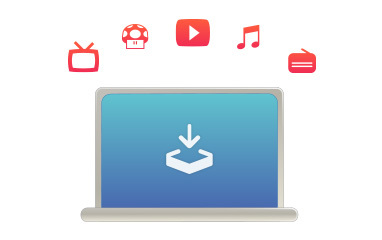 If you want to download streaming content, this is the best option available. I use this program a lot. It's quick---it exports the complete file before the online playback finishes on the screen. I recommend it. All video contents are copyrighted and owned by their respective owners. Freemake does not encourage or condone the illegal copying, duplication or distribution of copyrighted content. Multimedia downloads must be for time-shifting or device-shifting purposes and for personal, private, non-commercial uses only.